Samsung Bringing Back the Flip Phone? 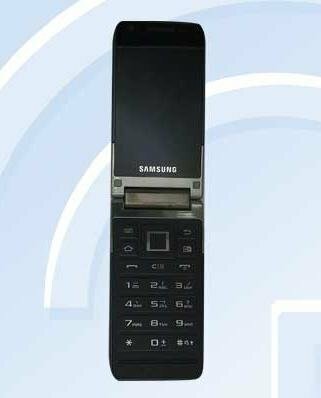 Samsung is releasing their first flip phone in years.The Samsung GT-B9120 will be a special flip phone that features not one but two 480x800 Super AMOLED screens. If you're scratching your head at the sound of those mediocre specs, you're not alone. What, exactly, is Samsung thinking? The clamshell flip phone will launch in China on the Unicom network. Other than the design, there's not much else notable about this middle-of-the-range smartphone. It'll feature Android 2.3 Gingerbread (in 2012, no less!) a 5MP camera round back, a 1.3 MP camera up front, a dual-core Snapdragon processor, HSPA; Wi-Fi, Bluetooth, 1GB of RAM and 16GB of built-in storage space. While it could be giant flop, but some tech sites are already praising Samsung for taking the risk. I think it makes no sense to add bulk to a phone unless it's in the service of a physical QWERTY keyboard and I don't know anyone who misses texting with T9. The only benefit I can think of is the form factor: clamshell phones feel great when held next to the ear. It's an ergonomic design that has worked for a long time. Maybe that's why carriers like Verizon still offer flip phones along with the newest smartphone marvel. What do you think about the idea of a dual-screen flip phone? Is that a design you miss? Let us know below! 1. It would be more reasonable to enter characters in some East-Asian languages via the T9 keyboard than QWERTY keyboard, and 2. Samsung had released two T9 Android phone for luxury market in China already, which are Samsung W899/W999. I always loved flip phones. One of the less likeable features of modern smart phones is the brick like physical format. 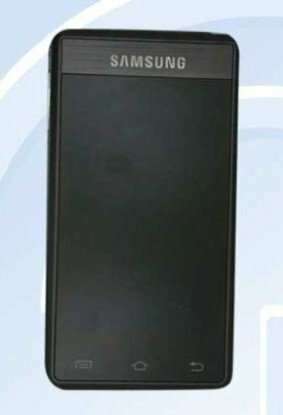 I think many people will be attracted to Samsung's retro design. I think it is a great idea. My inlaws do like the idea of a smart phone but cant get the concept of every little thing they can do. also, they are not text ctavef lile the kids. the idea of beeing able to open a phone and push the buttons to make a call would greatly excite them. you can't always teach an old dog new tricks. some of them are to stuburn to learn. I give it two thimbs up! !